Respondent :- State Of U.P. Thru. Prin. Secy. Basic Edu. Anubhag-4 & Ors. Heard Sri Avdhesh Shukla, learned counsel for the petitioners. has accepted notice for opposite parties no. 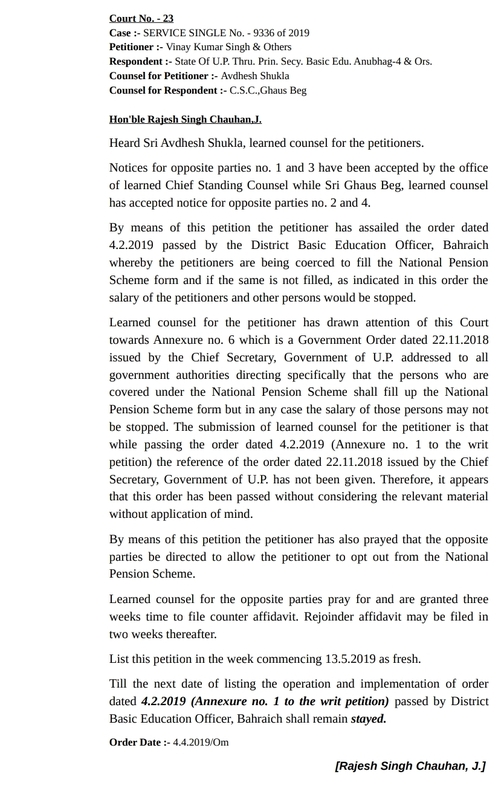 2 and 4.
salary of the petitioners and other persons would be stopped. List this petition in the week commencing 13.5.2019 as fresh. Basic Education Officer, Bahraich shall remain stayed.